YOU CAN’T ADMIRE the mountain views surrounding Sun Valley and not feel the urge to get a closer look. People have been doing just that for generations, and the region’s hiking infrastructure is immense, diverse, and easily accessible. Whether you’re going on a guided trek or striking out solo, here are 8 great options for the perfect Sun Valley hike. 1. Reach higher ground at Pioneer Cabin. As the showpiece day hike out of Sun Valley, a trip to Pioneer Cabin is a must. It’s just long and tough enough to feel like a major accomplishment — 2,400 feet of elevation gain over roughly 4 miles — and you get the additional payoff of incredible views of the Pioneer Mountains. Then there’s that cozy cabin. Originally built in 1937 and still maintained by the forest service, you can stay here on a first-come, first-served basis. Or just pitch your tent in the surrounding meadow. Either way, come morning you’ll be waking up to the awe-inspiring peaks of the Pioneers. And every single one of them is summit-able in a single day, so let your imagination run wild. While Pioneer Cabin is one of the most popular hikes in the area, there are multiple trails that lead up to the cabin. The busiest by far starts from Corral Creek near the Sun Valley Lodge. The more local option is walking up the Johnstone Creek trail out of East Fork. Both trails merge a little over a mile before the cabin. In spring and summer you won’t be looking at the path — peak wildflower season sees 40-50 types of blooms engulfing the trails. 2. Take a cue from the locals and head up Proctor. A local favorite for a quick workout and sweet views during lunch hour, Proctor Mountain offers a lot of bang for your buck. 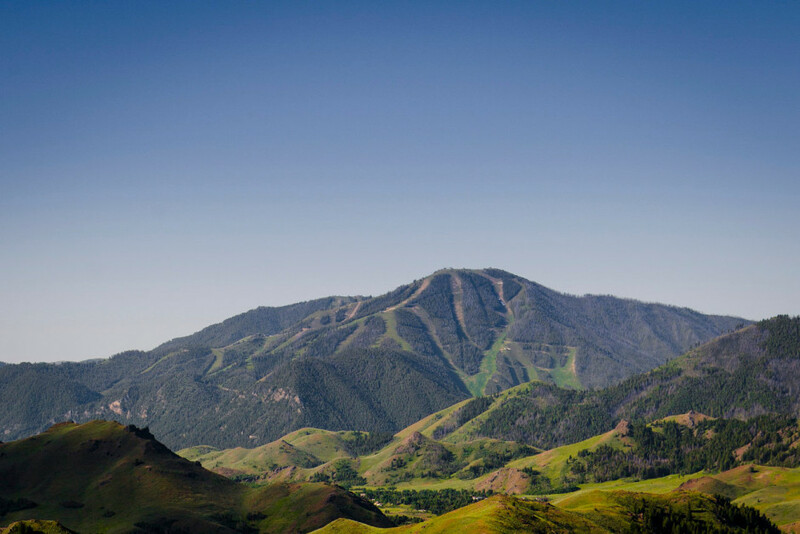 The 4.5-mile round trip gains a tidy 1,600 feet of elevation and offers some of the best looks out over Bald Mountain, Ketchum, and the greater Sun Valley region. And the old lift towers, terminus station, and shack — the legacy of America’s first destination ski resort — add a historical flavor to the hike. That plus all the wildflowers means you’re practically guaranteed to make it down the mountain wielding incredible photos. 3. Get a new perspective on Baldy. It hovers over Sun Valley like an omnipresent sentinel; there isn’t a street corner, stoplight, or back deck that escapes the Bald One’s almighty gaze. The mountain is a hot spot for all sorts of outdoor recreation, with mountain bike- and hiking-specific trails crisscrossing the ski runs. But the granddaddy of them all is Bald Mountain Trail. A beast of a climb, this hike to the summit gains 3,200 feet over 5 miles. At the top, you’ll have 360-degree views stretching from the plains of the Snake River Valley to the south, across the Pioneers to the east, the Boulders to the north, and Smoky Mountains to the west. Bonus: You can grab a free ride down on the ski lifts and gondola. And after all that effort, may as well stop for an ice-cold beer at the Roundhouse. 4. Make a splash in Titus Lake. There’s nothing quite like hiking to an alpine lake and dipping your feet in cold, crystal-clear water beneath snow-capped peaks. While there are countless mountain lakes in the Sun Valley area, one of the most accessible is Titus Lake. The trailhead lies just below Galena Summit, about 30 miles north of Sun Valley. Since you’re already near the summit at the start, the hike into the lake is relatively flat, gaining just 400 feet of elevation over the roughly 1.5-mile trail — though that number is a bit deceptive as the path dips and climbs numerous times along the way as you follow the ridgeline and finally drop down to the water. Still, it’s a great family hike option, and while it may be fairly easy to get to, that doesn’t mean the lake is anything less than spectacular. 5. Reach the highest point in the Pioneers. A giant pyramid in the heart of the Pioneers, at 12,009 feet Hyndman Peak is the ninth tallest mountain in Idaho. 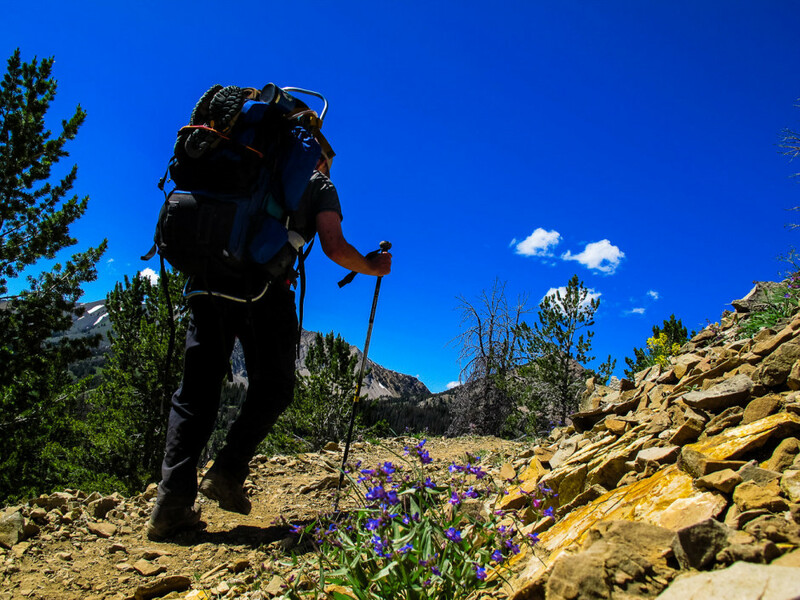 While fairly aggressive, the 12-mile round trip and 5,000 feet of elevation gain is certainly doable in a single day and adds a fine feather in any devoted hiker or climber’s hat. Rated a relatively benign Class 2, it’s the easiest 12’er to climb in Idaho, and doesn’t require any technical climbing or rope work. Heck, there’s even a race up and down the thing that Sun Valley locals compete in every summer. The 6-mile approach begins near the Johnstone Creek trailhead out East Fork Canyon and follows the East Fork of the Big Wood River up towards the easy-to-spot saddle between Old Hyndman and Hyndman. Once you get to the saddle, just point it up the ridgeline and soon enough you’ll be standing at the highest point in the Pioneers, surrounded by multiple 11,000ft peaks. If you’re lucky, you might see a few of the resident mountain goats along the way. 6. Keep it gentle with a trip to Baker Lake. A classic mountain lake guarded by granite peaks, Baker Lake combines a gentle hike with easy access close to town. The 5-mile round trip gains just 846 feet of elevation, and is one of those hikes that can leave you feeling a little guilty that you got to such a magnificent place so quickly and easily — you can see why this is one popular destination come summer. Fifteen miles north of town and an easy 9-mile drive out a dirt road through numerous wildflower meadows brings you to the trailhead. Pack a picnic and a fishing rod — the lakeside path is nicknamed “Fisherman’s Trail” for a reason. 7. 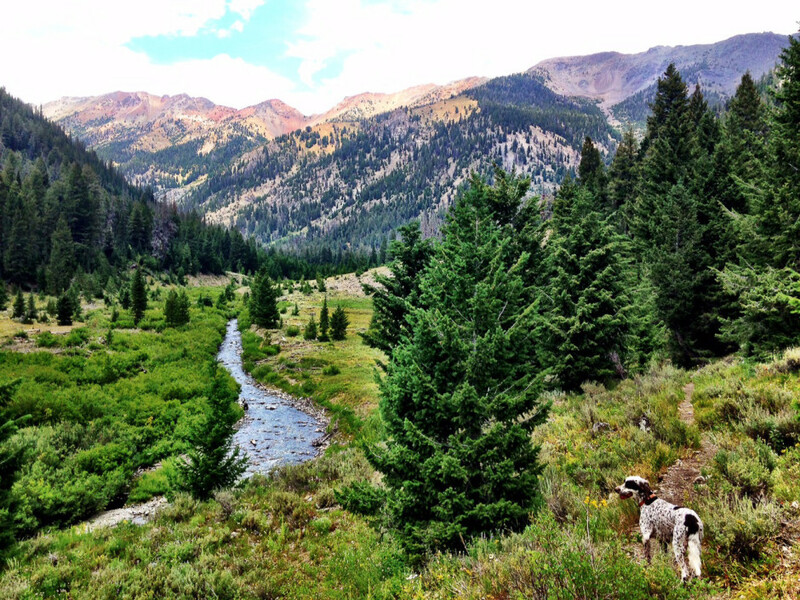 Take on the Oregon Gulch-Fox Creek Loop. Famous for its wildflowers and megafauna-spotting opps, Oregon Gulch is a local favorite. A loop that totals around 10.5 miles with 1,400 feet of elevation gain, the trail begins by following a small stream that’s been turned into a rambling wetland by beavers. Keep your eye out for the resident moose family that nibbles on the willows along the stream. After a few miles by the water, the trail veers off to the right and climbs steeply through perfect wildflower terrain before reaching a saddle. 8. Fall into a Bob Ross painting at Kane Lake. One of the most dramatic and scenic lakes in the area, Kane Lake is tucked beneath a large mountain cirque with impressive cliffs rising to one side and Goat Mountain on the other. While the access road can be rugged and requires a high-clearance 4×4 vehicle, the hike itself is a great blend of singletrack and low impact rock scrambling, with a few fun creek crossings. Because of this, be aware of water levels: If it’s high water, consider holding off on this hike until later in the summer. The 7-mile round trip gains 1,600 feet, but it’s relatively mellow for much of the hike as the majority of elevation comes in the final 1.5-mile scramble up a boulder field, following rock cairns as the trail disappears. When you reach the top of the ridgeline, you still won’t be able to see Kane Lake until you walk another 100 yards or so up and over a slight ridge. When you finally do spot it, don’t be surprised if you feel like you’ve entered a Bob Ross painting. There’s a meadow full of wildflowers on one side, some rocks to jump off on the other, and — just in case that wasn’t enough — a waterfall cascades into the lake from the basin above.